Bring a feeling of texture and depth to your bath with the gorgeous Hatton vanity series - hand finished in warm shades of Dark or Light Chestnut, with brushed nickel. A contemporary classic for the most discerning of customers. The Wyndham Collection is an entirely unique and innovative bath line. Sure to inspire imitators, the original Wyndham Collection sets new standards for design and construction. Available in multiples sizes and finishes. 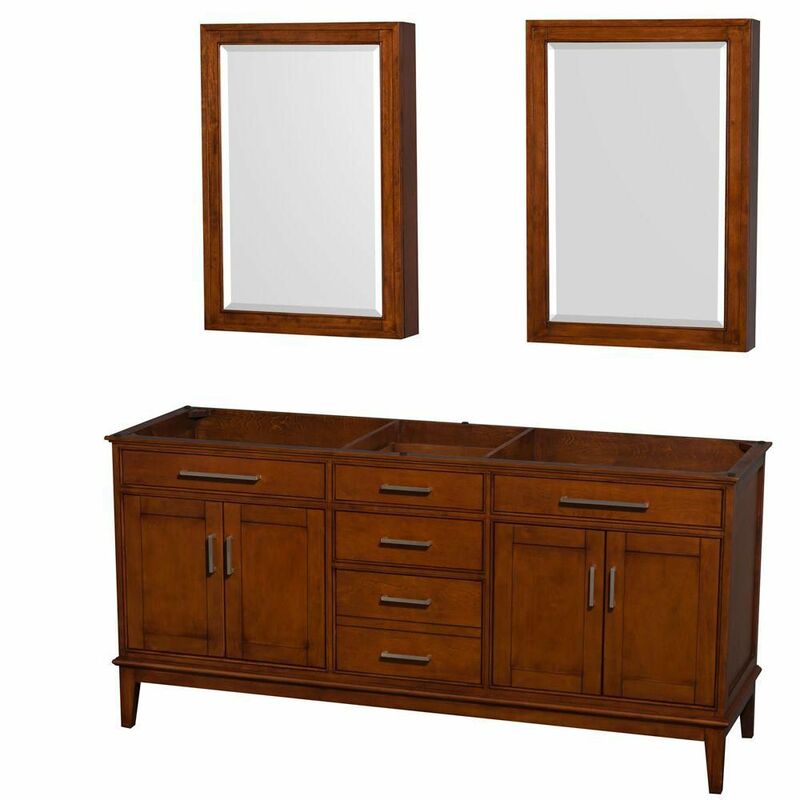 Hatton 71-Inch Vanity Cabinet with Mirror Medicine Cabinet in Light Chestnut Bring a feeling of texture and depth to your bath with the gorgeous Hatton vanity series - hand finished in warm shades of Dark or Light Chestnut, with brushed nickel. A contemporary classic for the most discerning of customers. The Wyndham Collection is an entirely unique and innovative bath line. Sure to inspire imitators, the original Wyndham Collection sets new standards for design and construction. Available in multiples sizes and finishes.